You know how I feel about blowing my own trumpet, but this news I had to share: the wonderfully supportive Caleb And Linda Pirtle recently listed Pearseus among the 100 Indie books you should read before you die! Great works of literature are being produced by wonderful independent authors who are breaking the mold in the literary world of fiction. Too many literary sources completely omit or overlook Indie Books when compiling their lists of the 100 books you should read before you die. They showcase the legends, the classics. Yet, we are fortunate to have a lot of outstanding books by outstanding indie authors in today’s literary marketplace. We are continuing our series featuring great indie books you should definitely read in your lifetime, knowing that the list will always change with the passing years and with the release of new books. What’s particularly amazing is that this honor came out of the blue, as I hadn’t taken part in any competition or such. I was merely notified by Caleb Pirtle III about the news! 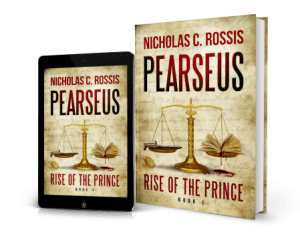 You can check out Pearseus on Amazon (it’s free on Kindle Unlimited) and discover some more reading gems on Caleb and Linda’s excellent blog. In other news, tireless Indie promoter N.N. Light has kindly featured my short series bundle on her blog, N.N. Light’s Book Heaven. 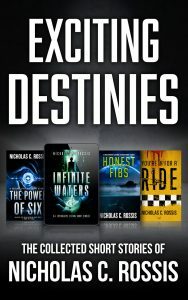 In case you’re wondering, the new title, Exciting Destinies, is part of the upcoming relaunch of the stories by Azure Fire Publishing. You can check out Exciting Destinies on Amazon (FREE on KU). You are a talented writer, intelligent man, and hardworking indie! So deserved. Congrats, Nicholas! Not a bit of it. You really are the generous, thoughtful guy I say. It’s always nice when the truth is all the good stuff! 😉 I admire you and your constant giving. All your hard work as a writer and fellow human being. ❤ Have a great weekend, Nicholas! Very cool. I’ve read the first book in the Perseus series, and it’s enjoyable. I’ll read the rest of the Perseus books when I get a chance. So many good books out there to read and not enough time. LOL. Always especially gratifying when it comes out of nowhere. Congratulations, Nicholas. What an honour. So pleased for you. Congratulations! And thank you for sharing the many thoughtful posts on writing.